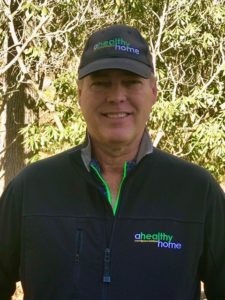 A Healthy Home was founded in Cashiers North Carolina in 2005. Our brand is trademarked to franchise nationwide. “For over 30 years I have been coming up to the Cashiers Highlands area, but it wasn’t until 2004 that my 5 kids and wife of 30 years moved here full time. However, it was living in such a beautiful area and community that inspired me to pursue a career that would be truly beneficial to the community. Being in one of the most humid environments in the country I landed on mold, moisture abatement and crawlspace solutions. And I never could’ve imagined how big a problem it truly is. “I love being able to provide such a vital service to a community that means so much to me. 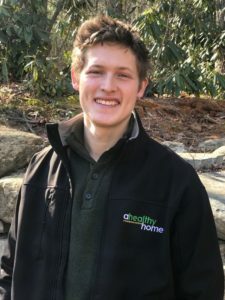 Helping people breathe easier and benefit from the effects of a healthy home is what pushes me to be the most equipped and knowledgeable technician I can be. One of the greatest lessons we have learned over the years is that the problems within a home are rarely solved with a singular solution but require a depth of expertise in multiple areas. And one must address all of these individually to have a permanent solution that never comes back again, that’s why we can give a 30 year warranty with confidence. Experience really does matter, and having the same crew for 11 years means our team has the understanding and skills to solve any issue. At A Healthy Home, we understand the importance of quality, safety and trust. That’s why we can give a 30 year warranty with confidence. On every job one of our certified specialists will give you a thorough analysis of your unique problem. “I don’t know why I waited so long to call Healthy Home about the moldy smell in my small, 1960s cottage in Highlands. I didn’t think anything could be done. Kip proved me wrong. The encapsulation was completed in a day and immediately I noticed a difference. No more moldy smell. Plus the winter heating bill plummeted. In addition, Kip was quick to respond to calls and checked the system regularly to be sure all was working properly. He was a pleasure to work with. Your health and your home, are your two biggest assets. Take care of both of them by keeping you air clean, your home dry and your family safe at Home. Contact us to help make your home… A Heathy Home!